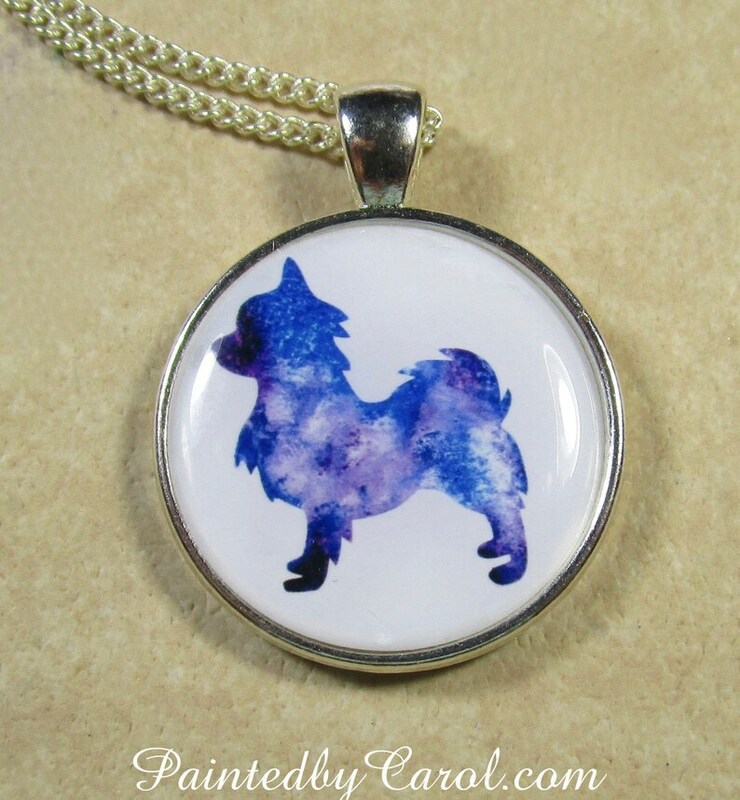 This long haired chihuahua pendant features my watercolor painting of a dog silhouette in shades of blue. Image is 25mm (1-inch) across and is protected by an epoxy cabochon. Includes a 20-inch curb link chain with lobster claw clasp. This cute pendant is great for kids, too.